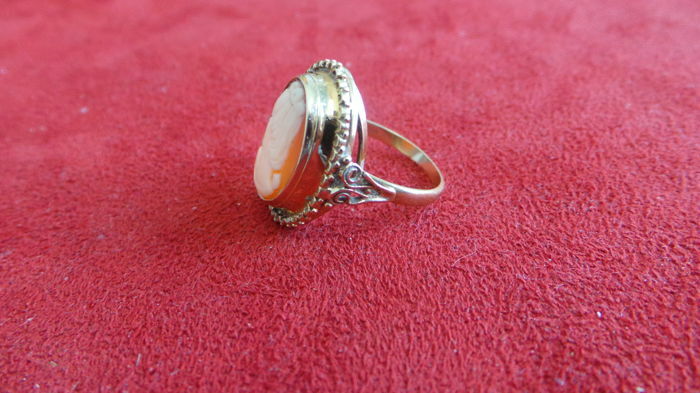 Wonderful ring that should not be missing from your collection. 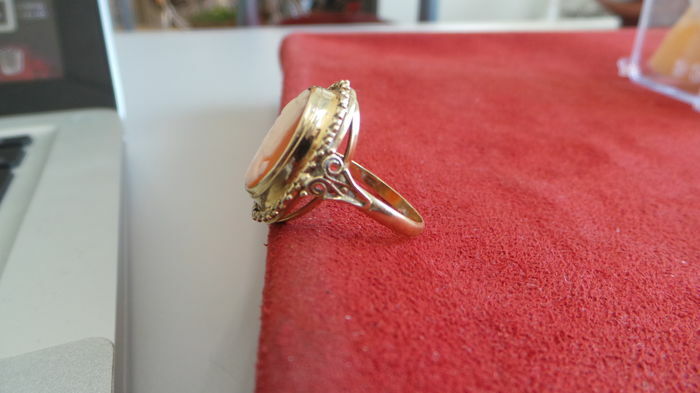 The ring is from a whole set that belonged to our parents' grandmother. 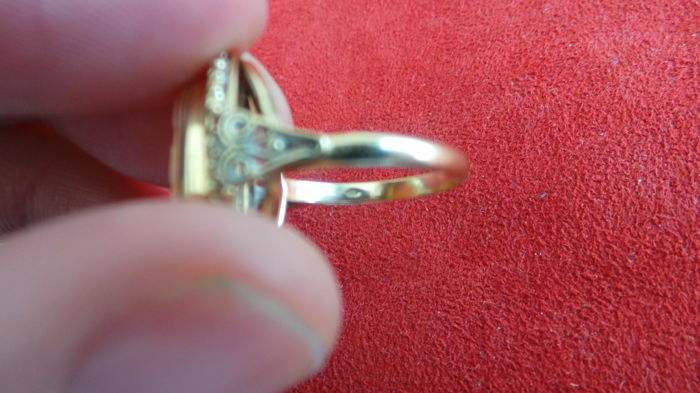 The inheritance has been waiting to be sold for over 5 years by now. 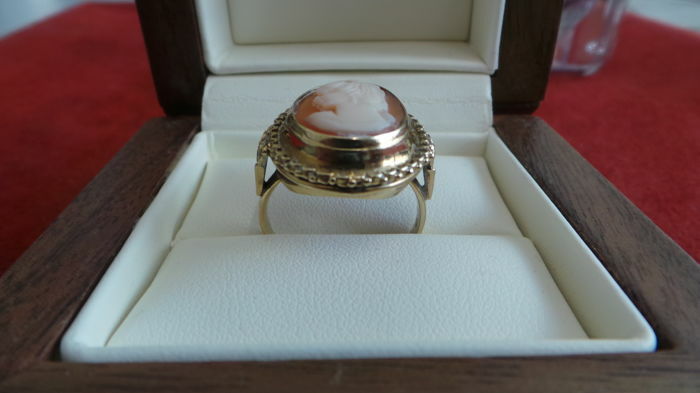 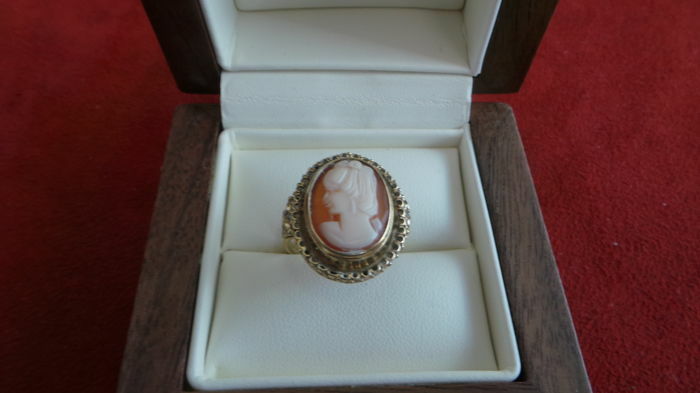 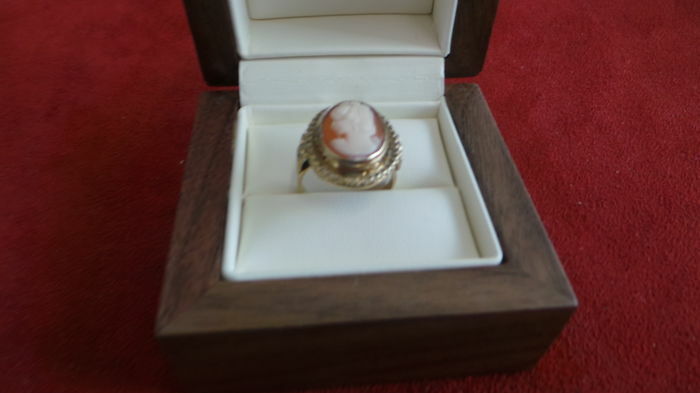 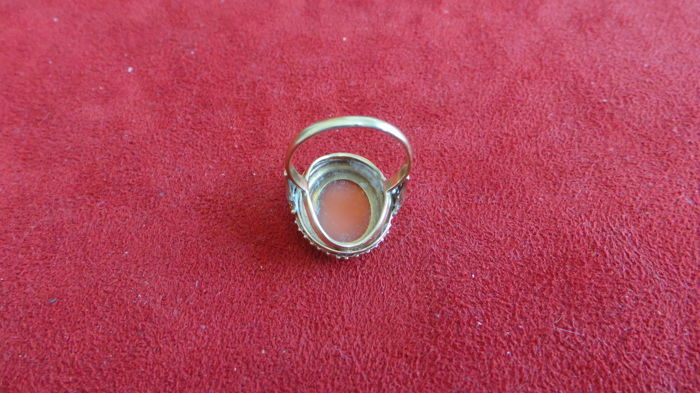 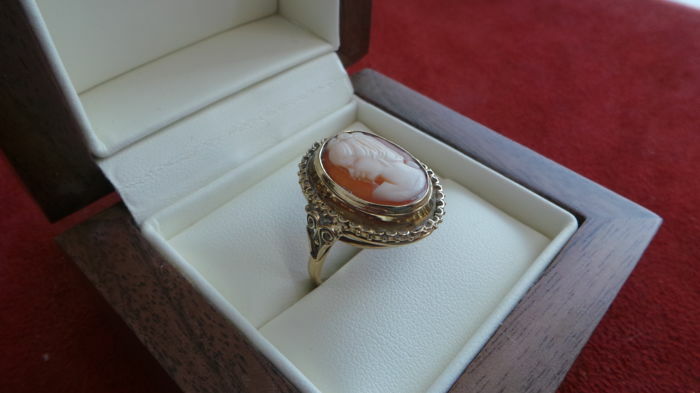 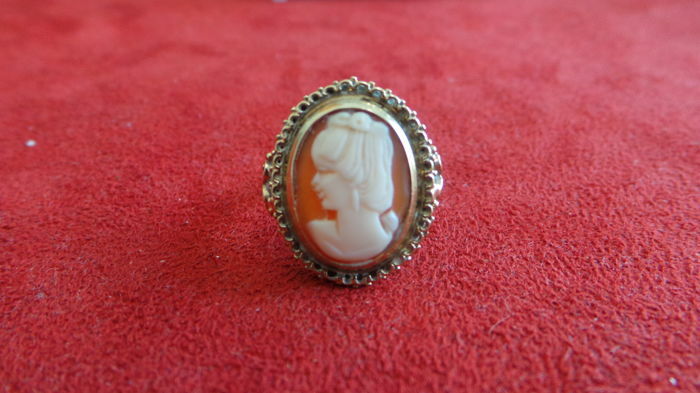 Cameo ring from the 1920s. 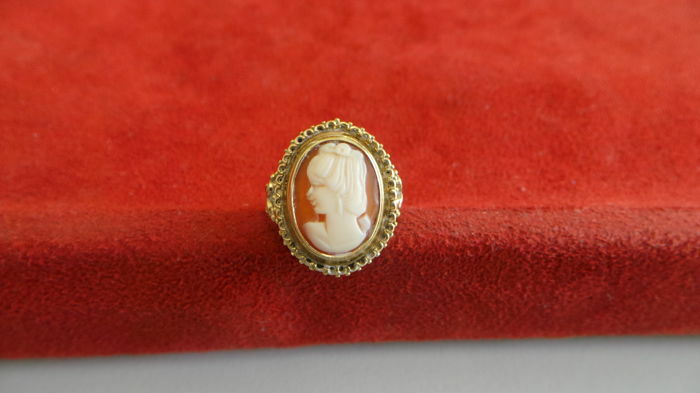 The earrings were properly tested on a stone and with liquid. 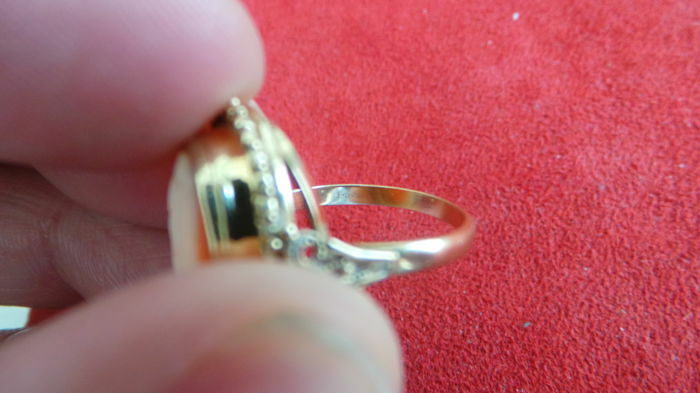 The ring will be packaged neatly and shipped with a track & trace code. 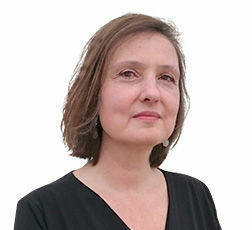 Pode levantar este lote em mão do vendedor: Heerlen (), Holanda.